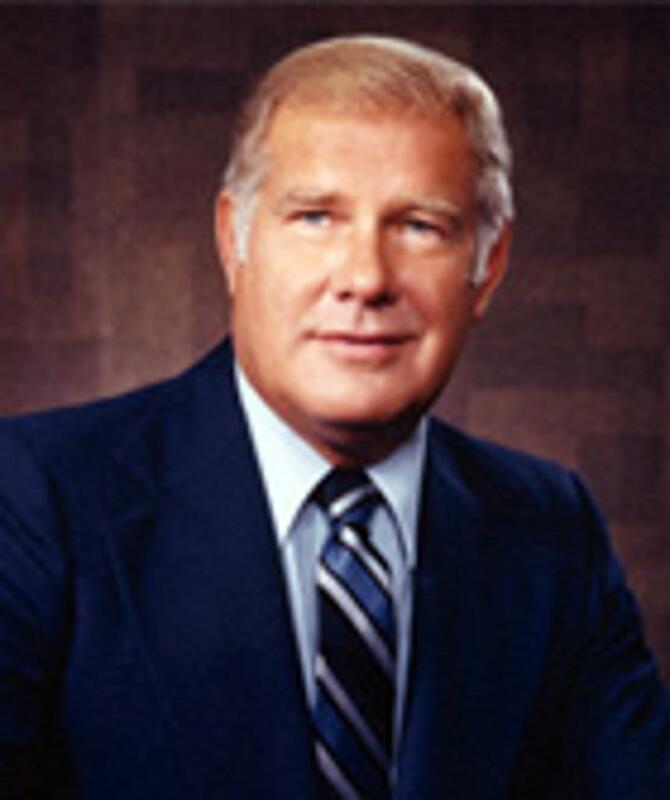 CHARLES R. BARD, WHO WAS CEO OF THE DECATHLON ATHLETIC CLUB OF BLOOMINGTON, MINNESOTA, FOUNDED THE HOBEY BAKER AWARD IN 1981. THE FOLLOWING IS HIS RECOLLECTION OF HOW COLLEGE HOCKEY'S MOST PRESTIGIOUS AWARD WAS CREATED. In February of 1978, I attended the Club Managers Convention in Los Angeles at the Los Angeles Athletic Club. Following the convention I was asked by Duke Llewellyn, Athletic Director of the LAAC, and the Administrator of the Wooden Award, to stay over for a couple of nights and attend the U.S. Open at the Riviera Country Club. That Sunday evening, following the Open, Duke and I had dinner at the LAAC. Following dinner, he gave me a tour of the facility, and in the process revealed their development plans for the Wooden Award, created to honor the outstanding collegiate basketball player of the year. He related their beginning, how the trophy was designed, and their early successes and failures. He discussed how they patterned the Award after the Heisman Award, which originated in the 1920s. I immediately suggested that the Decathlon Club could do the same thing for hockey. Duke agreed and said what better place than Minnesota as the home for such an award. 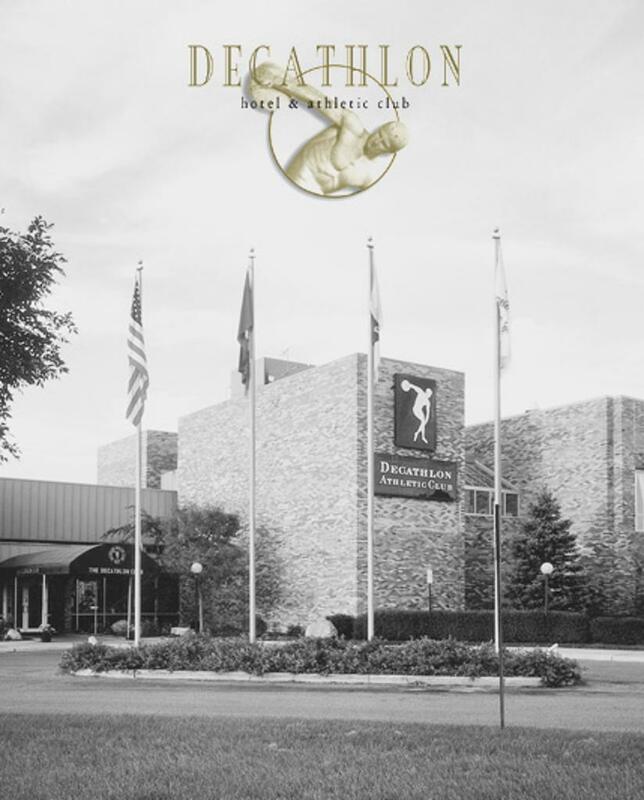 After returning home, I began looking into the feasibility of launching a hockey award through the Decathlon Club. At that time we were going through our first major expansion, and every program had to be self-sustaining. In the following months I gathered financial material for the Heisman Award from Rudy Riska, Athletic Director of the New York Downtown Athletic Club, who invited me to attend two Heisman Award banquets as his guest. In the fall of 1979, following a very successful sports banquet at the Decathlon Club, Wally McCarthy suggested we should have a second sporting event each year. With the hockey award in mind, I felt it was now time to discuss the concept. I asked Russ Chance, Chairman of the Entertainment Committee, to meet with me. When I expressed my interest in a collegiate hockey award, Russ agreed. We discussed the required financial arrangements, and I told Russ that I would pursue sponsors to make the award self-sustaining if he would chair the first event, and he agreed to do so. He also agreed to bring it to the club's Board of Directors for their approval. Over the next several months I pursued potential sponsors and succeeded in getting financial backing from Ralph Greig of Pepsi Bottling Company, and Joe Lapinsky, President of Northwest Airlines. I also lined up Jim Thaxton, President of Sports Films & Talent, to do the filming of the potential finalists. I then began to establish an organizational committee of club members who were interested in sports and the concept of a collegiate hockey award. The first members of the committee were Walter Bush, Jim Thaxton, Russ Chance, Pinky McNamara, George Konik, Murray Williamson, Grady Alderman, Ralph Greig, and Ron Fletcher. I asked John Justice, Athletic Director of the Decathlon Club, to draw up a format for the award. John went to work on a plan to establish the criteria as to who would do the voting, who would select the candidates, how to arrive at a top ten, and finally, how to pick the winner. At this point I felt we needed someone to actually be in charge of the award, and I appointed Patty Riha, editor of the club's Discus magazine, to be the award coordinator. The three of us put our final touch on the format and then presented it to the Organizational Committee for final approval. Next came the choice for a name for the award. I asked Walter Bush how I could get a list of the Hockey Hall of Fame members. Walter said he would send me a list of the names in the Canadian Hockey Hall of Fame and suggested I contact Roger Godin, who was then in charge of the U. S. Hockey Hall of Fame. Roger sent me his list and I began to study the biographies of the names in the two Halls of Fame. After reviewing all of the inductees, I settled on four names that impressed me the most. They were Frankie Brimsek, Moose-Goheen, John Mariucci, and of course Hobey Baker. Even though I had come up with four finalists for the Committee’s review, I had already made up my mind. I was so enamored with Hobey Baker that I secured all of the information on him that I could, even contacting W.C. Stryker, the Director of Athletic Relations at Princeton University, where Hobey attended and played. At the next Committee meeting I brought the four names for consideration, but only brought the bio on Hobey. It was a tough decision for a few because the other three candidates were all from Minnesota. In fact, John Mariucci was my neighbor in Bloomington. My input prevailed, however, and the Committee voted unanimously for Hobart Amory Baker. I contacted Bill Stryker at Princeton and learned there were relatives of Hobey’s in New York, Princeton, and believe it or not, two in St. Paul, Minnesota. There were two nephews in New York that were the sons of Hobey’s brother, Thornton. One was Alfred Baker, a senior editor at Time Magazine, and the other was Hobey Baker, Creative Director at General Mills. One cousin, Lewis Baker Cuyler lived in Princeton, and the two cousins living in St. Paul were Mrs. Benjamin Griggs and Mrs. Charles Ames. I traveled to New York and Princeton to meet those relatives and secure their permission for the use of Hobey’s name. Nephew Hobey had in his possession an elaborate scrapbook that Hobey’s mother had compiled. He graciously allowed me to bring the scrapbook back to Minnesota, and Jim Thaxton’s Sports Film & Talent Company duplicated it, which allowed us to have all the pictures, stories, and headlines we now have in our possession. While in New York, I also contacted a number of media people to get their input and support for the award. I met personally with Mark Mulvoy, hockey editor for Sports Illustrated at that time, and Judy Weiss, who worked in the New York office of Hockey News. On the phone I talked with Tom Murray and Charlie Halpin of Hockey News in Toronto, and Larry Klein of Sport Magazine. They were all very helpful and supportive of such an award. I also spent more time with Rudi Riska while in New York, and received more of the background on the Heisman Award. From there I solicited suggestions, recommendations, support and approval from Dennis Poppe and William Hunt of the NCAA, Hal Trumble of the Amateur Hockey Association, Bill Cleary, Harvard hockey coach and Executive Director of the National Association of Collegiate Directors of Athletics, Lefty Smith, Notre Dame Hockey coach and President of the American Hockey Coaches Association, along with W.C. Stryker. The next step was to establish an Advisory Committee of well recognized and respected hockey icons and legends that we felt could add their expertise and prestige to the award. With the help of Walter Bush, and the member of the Organizational Committee, a committee was formed that consisted of Thayer Tutt, Bob Ridder, Don Clark, Bill Cleary and Snooks Kelly. Walter Bush would serve as the Chairman of this committee. This committee was responsible for overseeing the Award and for selecting a 13-person selection committee that would ultimately name the winner. A network of all college coaches in the NCAA, divisions I, II and III, was established to determine the top ten candidates. They all voted for the three best players in their estimation. The votes of the coaches determined who the top 10 finalists would be. Our problem during the first couple of years was that we, in an attempt to be all-inclusive, gave equal weight to Divisions II and III, and ended up with too many players from those divisions in the top 10. Following this, the 13-man selection committee would select the ultimate winner. This selection committee would be made up of equal representation from the East and the Midwest. One person would be designated to represent the daily newspapers, the magazines, the electronic media, the American Hockey Association, the NHL scouts, and the Hockey Coaches Association, thus creating twelve members. The Decathlon Chairman of the Committee was the thirteenth member, and would only vote in the event of a tie. Members were to serve two-year terms. After two years, the Advisory Committee appointed new members. The first Hobey Baker Award winner was Neal Broten. He was announced at the Decathlon Club before a very sparse media audience on March 20, 1981. 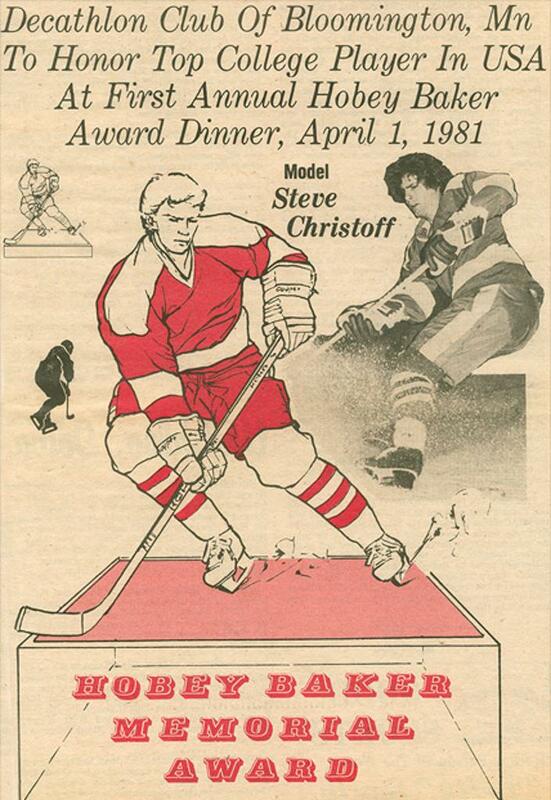 The black tie award banquet was held at the club on March 30, 1981, with Gordie Howe as guest speaker. The Master of Ceremonies was the legendary Ray Scott and the long awaited event was a complete sell out.